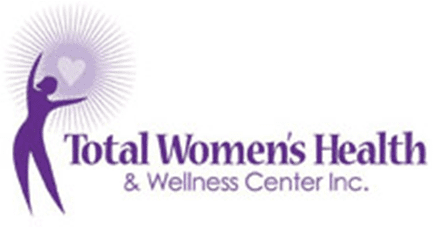 Total Women’s Health & Wellness Center is a professional gynecology practice in Decatur, Georgia. Its staff is composed of Stephanie Carmichael, MD, and Andrea Johnson, MD, both of whom have over two decades of experience in the gynecology field and are certified by the American Board of Obstetrics and Gynecology. Through their practice, Dr. Johnson and Dr.Carmichael strive to provide quality care to women of all age groups and backgrounds. The health of the patient is their number one concern. As a team, the highly trained and experienced female physicians offer a broad range of knowledge and skill, plus the latest advancements in gynecology. As women, they understand and respect your symptoms and concerns, and are committed to genuinely listening to you and providing you with prompt compassionate care. Their goal is to improve their patients’ physical and emotional well-being through treatment of common women’s health issues, such as heavy periods, abnormal Pap results, hormonal imbalances, thyroid issues, and ovarian cysts. Dr. Carmichael and Dr. Johnson make it their utmost priority to apply the same standard of care to patients as they would their own families. The team knows your time is precious, which is why they are committed to helping you achieve a full and speedy recovery, and obtaining the preventive care and medical screenings you need. The gynecologists at Total Women’s Health and Wellness Center use their expertise, a vast range of experience, and understanding of women’s specific health needs to provide optimal wellness. They recognize that women’s healthcare is a very personal experience and that choosing the right provider is one of the most important decisions you can make. Dr. Johnson and Dr.Carmichael’s focus are on gynecology rather than obstetrics (care during pregnancy). To get started addressing or managing your gynecological health, call the office or book online to schedule an appointment today. "Dr. Carmichael listened to my concerns & provided excellent advice. This type of visit usually isn't my top 10 fav things to do, but she made the experience pleasant! " "Dr. Johnson explained every single thing and worked as quickly as possible to get me out of the office. She was also very calming. I'm so happy!" "Total Women's Health is awesome! Dr. Carmichael is so caring, through, and a true professional! The whole staff is great! Thanks for making my experience a great one!" "Dr. Carmichael herself is adorable, intelligent, and profoundly caring. She understands that women get anxious about coming to her, and talks them through the process." "I love Dr. Johnson very friendly lady who cares about her patients I've never been more comfortable with a doctor before her!"